Unlike the explorers of old, we didn’t have to sail the ocean blue to find the Spice Islands (India, Ceylon, and the Moluccas). But we’re excited to present Nashville’s own “Spice Island,” Stardust Tea and Spice. 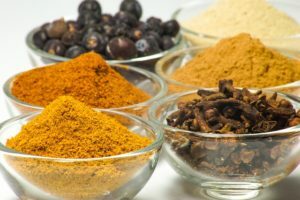 Why teas and spices? This wasn’t an original idea we first considered, but after stumbling upon some quaint spice shops in nearby cities, the light bulb came on. We consider our findings serendipity, a stroke of good luck for those in search of unique teas, spices, and herbs. But like everything else, there is one little thing we forgot to mention: We also sell beads. Yes, you saw it right: beads! Known as Stardust Designs Bead Shoppe, we also have a wonderful selection of beads and findings for your jewelry crafting needs. However, for all you culinary people, don’t be fooled, our front room area is where you’ll do doubt spend most of your time, because that’s where we’ll have our teas, spices, and herbs. We will have over 200 selections of product and counting, and we won’t be afraid to increase this number as time and your needs dictate. You’ll have more to choose from than you bargained for.